We made a zine for OOGA BOOGA and their booth at the NY ART BOOK FAIR - BOOTH S03. 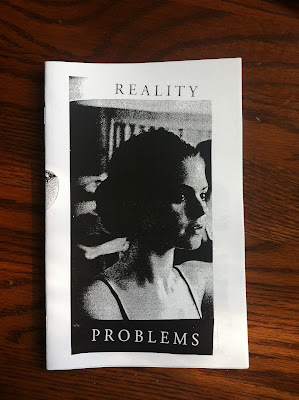 "Reality Problems" is 12 pages, photocopied, in an edition of 50, hand assembled and signed by us. You can also get it from OOGA BOOGA'S WEB SHOP soon-ish if you want it and can't make it to the fair. If you do make it, please check out their booth and the other great small art publishers at the fair! It starts TONIGHT!